Chaz Bear, the identity behind Toro Y Moi, made it clear upfront that he would not be touring his previous work Boo Boo. If you heard the thing, you would realize why. By the subtlest measures, no Toro record resembles its former. Boo Boo ditches the garage pop guitar leanings of its forebear, crafting an icily stark confrontation directed at the self, set to cool and collected synths. Composed in the wake of relationship turmoil, this guided tour through Chaz’s nightmare was way too personal and of a whole to imagine being performed live; plus, it just wasn’t where he was at the time. Two years later, he’s channeled that chill opera’s focus on jadedness and turned it outward into riposte. Rather than point the finger at himself, he includes everyone (and their devices) on new album Outer Peace. A quick glance at this record’s tempos is proof enough that Boo Boo was the cooling off period that it suggested. 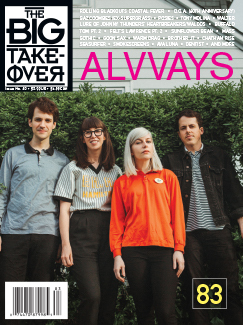 Following such a barrage of nontraditional hits comes a bevy of conscious bangers like “Fading” and “Ordinary Pleasure.” The opening “ooo-ooo” hook in the former is more excited and urgent than anything from Boo Boo; a rally call to workers indicating that the big cheese’s existential lunch break is over. The latter struts its stuff amid a dripping bass line working overtime, incongruously funkier than the subject matter. Chaz is bored, and his affect in the verses hint at nothing otherwise, yet the music continues to bump underneath. It’s an anthem to anhedonia as well as an exercise in mania, forcing oneself to sing and dance to a tune they’re at odds with. The LP is full of moments and moods like these, and a once-through will leave you wondering if the audience is the only party benefiting from Outer Peace. This effort notably finds Chaz in a referential state, interpolating a direct stanza from Isaac Brock’s Ugly Casanova project and parodying an immortal LCD Soundsystem refrain. His affinity for James Murphy shows in less overt terms on at least two other occasions; the first of which occurs in the latter half of “Who Am I,” as the synthesizer introduced in its latter half unmistakably matches the model employed in “Someone Great.” The second instance is entirely thematic, broaching and accepting the new archetype of the aging hipster. In “Freelance,” he bemoans, “I can’t tell if I’m hip or getting old.” The thought of Chaz at 32 being “old” is a little silly, but considering the unintentional sacrifices celebrity has cost him of late, his mental exhaustion may indeed be beyond its years. On an authorial level, the irresistible groove of cuts like “Who Am I” and “Freelance” contribute an eerie afterglow. One cannot help but feel guilty shaking it to the intermittently blipping lifeline of Chaz’s will, but that element of emergency is largely what sells this album. Outer Peace isn’t without a few odd sidesteps. Strange that he at one point states, “Imitation always gets a bad rep,” and proceeds to more or less succumb to that warning with results ranging from poor (the Rae Sremmurd lite “Monte Carlo”) to surprisingly successful (the I Can’t Believe It’s Not Drake “Baby Drive It Down”). The record’s title and artwork are meant to be taken sarcastically: people do not spend enough time in the present. It’s flush with outright mentions of this struggle. 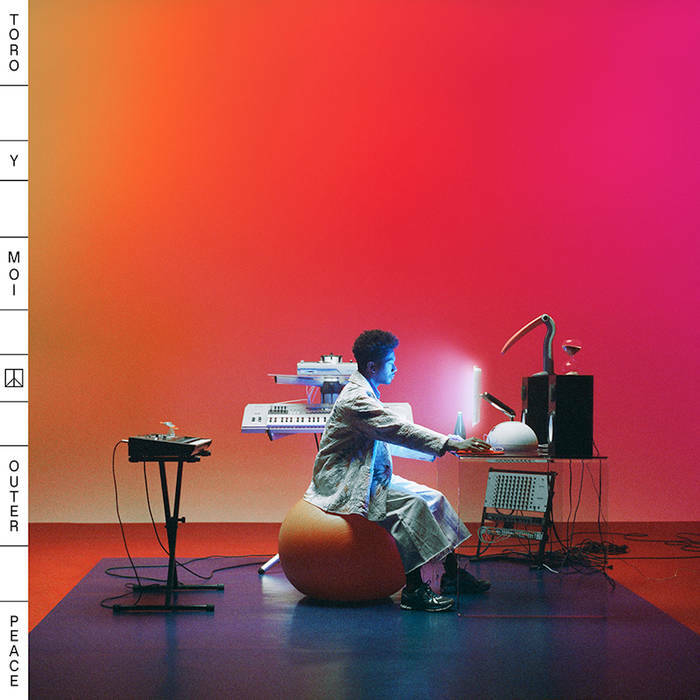 “Life is only wishing we could load it.” “Uber messed up everything.” On its face, the new Toro Y Moi appears to have discovered himself as the only cognizant participant in an episode of Black Mirror, merely playing out a role. However, the disassociation extends past simple electronics. The lifestyle still eats at Chaz and that’s for him to figure out, but his therapy can be ours too, whether we read the fine print or not.